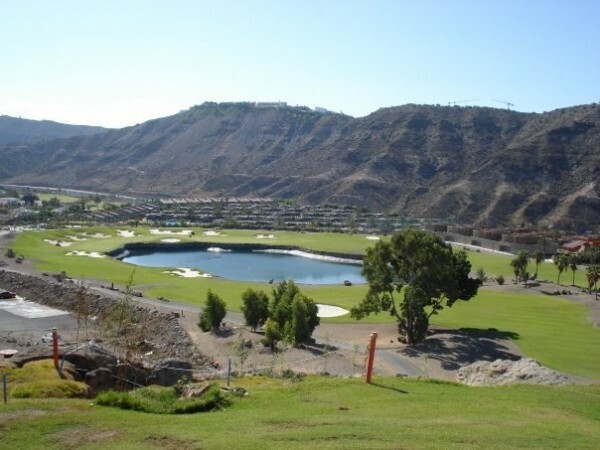 The Anfi Tauro Championship Course is a magnificent 18 hole golf course near Puerto Rico belonging to the Anfi Resorts in Tauro, south of Gran Canaria. The Championship Course is a challenge to all level of golfers. If you manage to play to your handicap you have played well. One bad hole can ruin your score card. Every hole is different and has its own character. And that is what I love about that course. The key to playing this course is playing to your ability and being smart. The front nine goes out toward the ocean, and in my opinion are the harder 9 holes. The front is longer and the two most difficult holes, hole 2 and hole 6, are playing into the wind most of the time. The second nine goes up the valley of Tauro and I find it the scoring nine. It is a little bit tighter than the front nine, but the holes are a little shorter. TIP: If you’re not accurate off the tee with your driver,then it is advisable to keep it in the bag and use a club that your are accurate and comfortable with, even if it is a 7 iron. 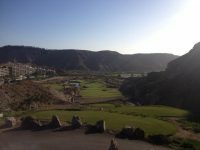 White: Only low handicap golfers and pros should play from these tees as most holes are quite long and there are quite a few long carries, up to 200 meters to fairways. The fairways are in fantastic condition all year round and are a pleasure to play on. Due to quite a few elevated tee shots and quite a lot of undulations on the fairways, it is very important to be careful where you aim your tee shots. 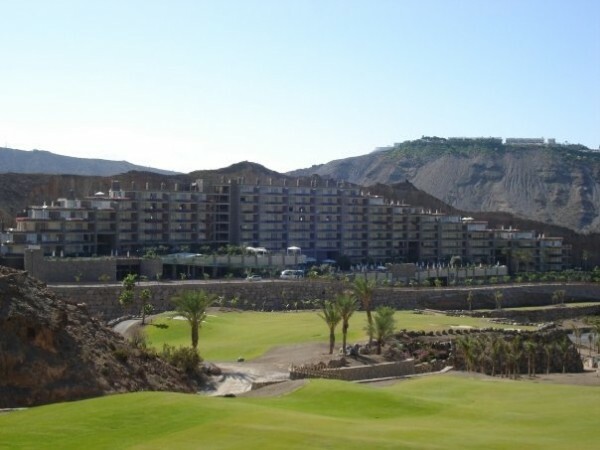 There are is no rough as such on this course, but the fairways are surrounded by desert areas. Different types of cactus, Aloe Vera and palm trees could make your next shot very difficult. 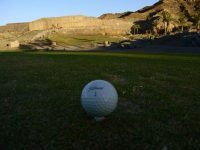 It’s quite tricky to play of the desert areas and so it should be if you never hit the fairway. Tip: The key to playing off this area is try to keep your bottom half of your body still and just hit the ball back into play and try and hit the ball clean. For the short shots, just play it as a bunker shot and commit to it. Important note: If you ball is next to a cactus, be very careful in retrieving it. A sting from some of the cactus can be very uncomfortable. The greens too, are in fantastic condition all year round and are perfect to putt on. There is a lot of undulation on these greens, so you will not get many straight putts. But they are very true, very receptive and can be very quick, sometimes a little slower in the winter season. Quick tip: If you try and hit your approach shot short of the flag, you will have an uphill putt on most holes. 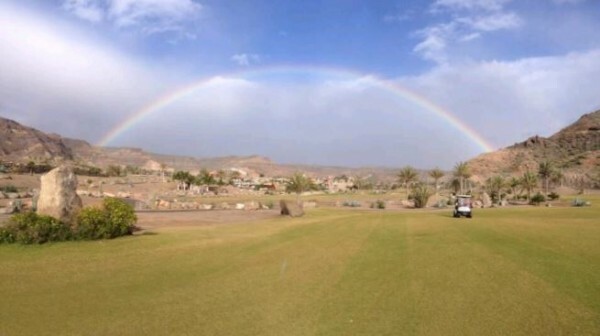 The last thing you want is a downhill putt on this course because you will more than likely 3 putt. 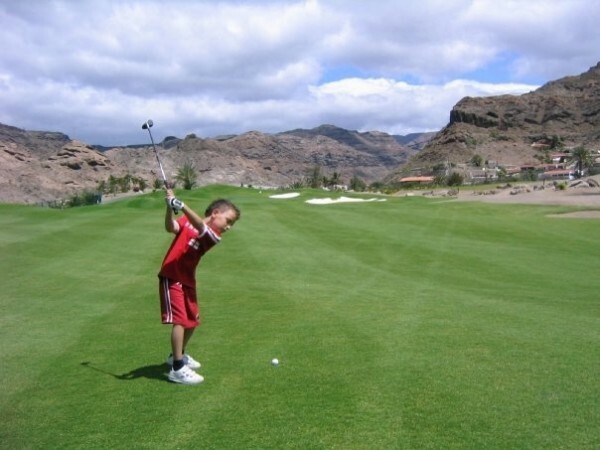 Anfi Tauro Golf does not have a clubhouse as such. 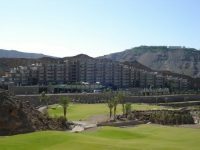 If you would like to go for a nice cold beer and something to eat, then you are welcome to do so at La Cascada Restaurant in the Anfi Emerald Hotel, which overlooks the back 9 of the course.